Rob Monaghan (Ireland) took a quarry lake as his subject. Especially his sub-aqua photos are highly fascinating. 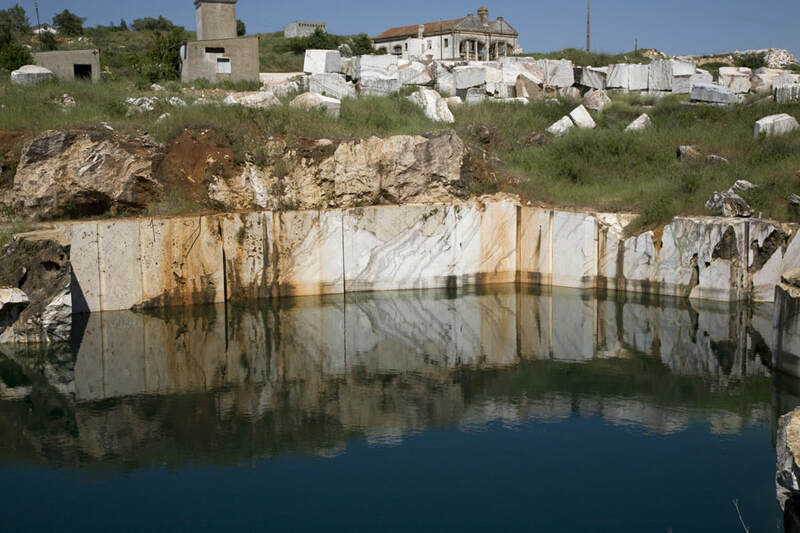 Phil Moody (USA) made an impressive photo documentary on the workers in the marble industry. His (2x2m !) photos are exhibited In 2018 in the Palacio dos marquises da Praia e Montforte in Estremoz. 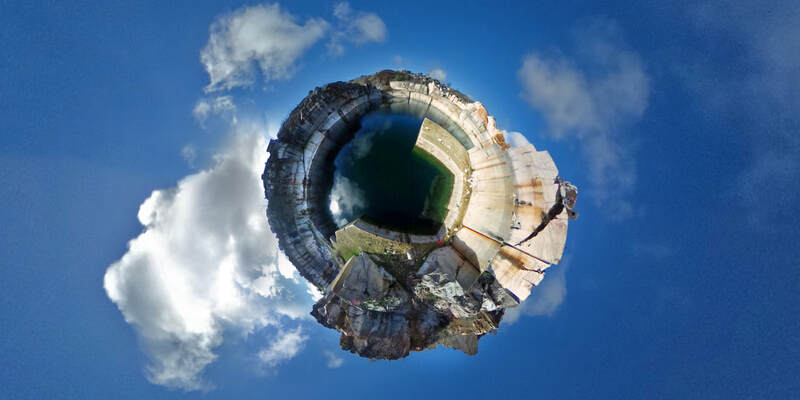 Theo van Delft (Holland) made images of a quarry with a spherical camera. Several artists portrayed themselves surrounded by marble, general as part of a bigger project. Vibe Overgaard (Denmark) made a series of moon light photos of quarries. Moonlight reflections in a quarry lake is a unique experience. Several artists went to a quarry at night.